UPDATE: MyPublisher will be closing down on May 8, 2017. The company will still take orders through that date. For more details read my MyPublisher Q&A post. 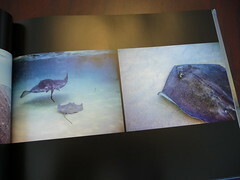 Some features previously available on MyPublisher such as hinged lay flat binding is now available on Shutterfly. For more details and an update on whether Shutterfly is a good alternative for MyPublisher fans, be sure to check out my in-depth comparison post. MyPublisher has been in the photo book publishing business for quite some time – founded in 1995 and based in Valhalla, New York. 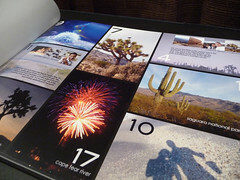 I’ve been making photo books for about five seven years now and MyPublisher was the first company that I tried. Update 4/30/2013: Shutterfly has acquired MyPublisher. MyPublisher photo books will continue to be offered however other products such as cards and calendars will no longer be available. 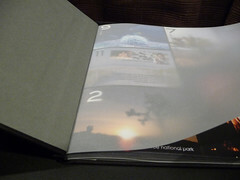 MyPublisher offers only landscape photo books with three sizes in hardcover and two sizes in softcover. Linen, leather and dust jackets are all possible cover options. Lay flat options are also available with an additional fee. MyPublisher is both Mac and PC compatible, though the Mac software features lag behind the PC version. For instance the latest PC version gives you a running total of cost as you build the book, while the Mac software doesn’t. The PC version also allows you to order the newest MyPublisher hardcover which they call “photo finish” which features your selected photo printed directly onto the surface of the book. The only full photo cover available for Mac users at this time is to order a dust jacket. According to the company this will be made available for Mac users sometime this summer (2010). (UPDATE: 2/26/2012 - New paper choices include super gloss paper and an option of choosing matte or satin paper. Classic books have gone from 115 lb. in weight to 120 lb. while Deluxe books have gone from 182 lb. to 170 lb. paper. Premium end sheets and slipcase covers are also new additions. Where MyPublisher excels is print quality and book construction. The paper quality is very good, with the Deluxe size (15x11.5) featuring thicker paper (182 lb.) than the Classic size (11.25x8.75) (115 lb.). Super gloss paper is also now available. The vellum fly sheets featured at the front and back of the photobooks are a nice finishing touch and the binding is sturdy and neat. 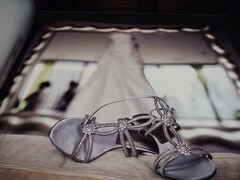 My photos come back very vivid and with a sharp print quality. Additionally if you’re looking for speed, MyPublisher has been the one of the fastest companies in book production and delivery. I’ve often received my books in about a week, from the time of hitting the order button to arrival on my doorstep. There have been some instances where I have received books with text being cut off or not spacing properly and with some colors being rather off, so consistency can be an issue, but upon notifying the company, they have been prompt and accommodating in offering coupon codes to reprint my orders. You can check out my MyPublisher comparison to Snapfish or my comparison review of MyPublisher, Mpix, Blurb and Snapfish. Additional reviews are in the blog section below. Click HERE to go to MyPublisher's site! Don't forget to check the main Photobook Deals page for all of today's deals! Bookmark that page or fan me on Facebook and you won't miss out on the latest coupon codes! Save money with the latest MyPublisher coupons and deals, or see if there are any MyPublisher groupons. Sep 4, 2014: Coming Soon! Exclusive Freebie for Photo Book Girl Newsletter Subscribers! Sep 16, 2012: Dream Wedding Guest Book MyPublisher Giveaway 2012 Winners! 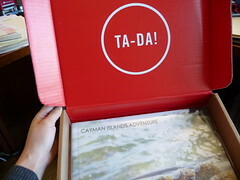 Mar 11, 2012: PhotoBookGirl Turns Two! MyPublisher 2012 Giveaway Winners Announced! Thinking about designing a photobook on MyPublisher? You can view a detailed chart of every MyPublisher photo book, including sizes and pricing. See the full list of MyPublisher photo books.